Kay Botanicals brings you the new and the exciting Kratom Capsules. We are a proud partner as we have connected with some other plantations across the vast South-East Region in Asia. We select the right leaf that is good to be processed at the perfect time. Those selected leaves were dried and then grind into a nice powder, later they are stuffed into the capsules. These premium capsules are made with the exact potency which is not less than to the powders that you consume. With the variable doses, it will be much effective and new favorite to our customers. Kratom capsules are completely safe to consume. The reason why people move from Kratom powder to capsules is that of the taste. As some of you think, Kratom powder does not taste like chocolate and this is the main reason why people switch to the capsule version of Kratom and not the actual powder. However, the powder is relatively cheaper than the capsules. Secondly, if you are a new user it is pretty much easy to consume if you do not want to taste the actual powder. If you need the benefits of Kratom and does not like the taste, then the Kratom capsule is a version which is tailored for you. These are pretty much the reasons which sum up the reason why the majority of the people switch to capsules. 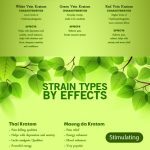 Some may still question the effectiveness of Kratom and I am here to simplify things for you and solve the most asked questions by a Kratom capsule user. The first and foremost question would be the safety of consumers and some may even question the effectiveness of Kratom when it is consumed in the form of a capsule. Follow the entire article to solve the doubts that are stacked up in your heart. There are only two kinds of capsules which are fairly good to consume and I am listing them below with complete details which can further help you in choosing by understanding the ingredients used in the capsule. Also, check if you have any allergy for any of the ingredient and if you find so, you can choose the other capsule option and go for it. Gelatin capsules: This is the capsule which is found with most vendors and fairly safe to be consumed in the form of capsules. These capsules are comparatively cheaper when compare to the veggie capsules. The product over here is formed from the animal by-products and it is fair enough to say that if you suffer from any allergy then you can surely opt out of this for sure. Due to the chemicals used in production, it may be allergic to some users. Veggie capsules: Contains a mixture of Cellulose, Hypromellose and water as the major ingredient in this and this is completely gluten-free and a vegetarian-friendly product. Due to all natural ingredients, this is comparatively safe for consumption and can be used without any allergy. This does not give you any allergy and you can consume it without any second thought. Though the capsule is much costlier than the other variant and it completely does the justice for the price tag that the capsule holds. If you are very much concerned about the safety, this is one and only option which you can pick with both eyes closed. In the end, I would personally suggest you buy Kratom capsules of the second variant which are the veggie capsules which can be easily found in the market and suits for most of the people out there who consume Kratom. For a new user, just ignore the price and go for it for a better experience right away. After determining the capsule which you wish to consume, its the time now to choose the size which is certainly the next most important thing with the capsule. One more thing to be considered when choosing the size is you have to consume more capsules if the size is small. So it is recommended to choose the size which is relatively moderate in size. Size ‘000’ – 1 gram of Kratom in each cap. Size ‘00’ – 0.735 grams of Kratom in each cap. Size ‘0’ – 0.5 grams of Kratom in each cap. Size ‘1’ – 0.4 grams of Kratom in each cap. Size ‘2’ – 0.3 grams of Kratom in each cap. Based on your talent you can choose the size of the capsule which you prefer to consume. If you are smart, it is always recommended to choose the larger size as the work done over there is relatively less when compared. One more advantage is that it helps you to save time too. A capsule filling machine if you can afford to. Which is optional indeed. A tamper to give the capsules that shape. However, in this case, you might need to consider the capsule machine. A parchment paper which helps you in collecting the split out powder. A measuring scale which helps you out to measure the quantity. This is a must if you decide to prepare your own capsule. One of the main disadvantage of doing this the time that you spend in filling the capsule and packing it. One more downfall of the capsule is, you might delay the action of the powder which is present inside the capsule. A delay time of up to 20 minutes is possible if you consume Kratom in the form of a capsule. In the end, choosing the capsuled version depends on the consumer. Above all, it is just a toss and wash method when you just think about it. One major advantage is you don’t have to battle with the bad taste of the powder in this case.